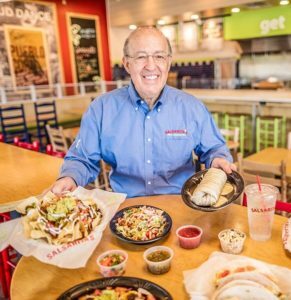 Phil Friedman is CEO of the 84-unit fast-casual Mexican chain Salsarita’s Fresh Mexican Grill, headquartered in Charlotte and located in 19 states. Phil is the former CEO of McAlister’s Deli. Salsarita’s is a concept I acquired almost seven years ago. It’s a quick casual Mexican restaurant in the broad burrito category, meaning that you go down the line and create your own burritos. What’s unique about Salsarita’s is in a demographic sense, we serve more women than we do men because we also feature a great salad selection. We try to provide a lot of choice and variety. Salsa’s in our name. 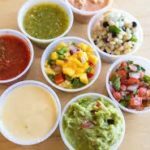 We always have six salsas available, and we always do seasonal salsas as well. What are some of the most exciting things you’ve done with the company since acquiring it? About three years ago I embarked on a complete rebranding and reimaging of Salsarita’s using Kathy Diamond, who had done work at McAlister’s where I came from. We revamped it into a very crisp, clean, contemporary looking restaurant, trying to be true to what I think of as quick casual, which is having a great environment and having really good food in a quick serve situation. 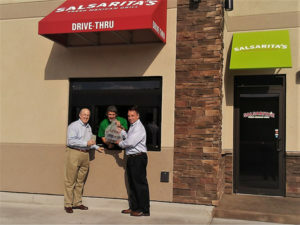 The other thing that is really exciting about Salsarita’s is that about a year-and-a-half ago we introduced drive-thru. Tell us about integrating the drive-thru concept to Salsarita’s. A franchisee in Evansville, Indiana, opened the first drive-thru in a freestanding building. We now do about 30% of sales through the drive-thru window. The difference from other people trying to do drive-thrus in a quick-casual environment is that we are doing it with a limited menu. We looked at our best sellers and the best products that have sold and put together a fast-food menu of tacos, burritos, and taco salad. The burrito comes the way we present it. You have a choice if you want it, but over 90% of customers take it from the menu. This lets us achieve drive-thru speeds, so we are getting from order to people leaving the window in 90 seconds. We did drive-thru as an extension of our kitchen and not a separate line. We only add about thirty or fifty thousand dollars to the investment, but we see a big upside. Our second drive-thru was in Lincoln, Nebraska, and that was an end cap. The third one was a conversion of an existing Salsarita’s that was originally a Schlotzsky’s, so the window was there. We converted that recently, and we will be opening another conversion soon of a Taco John’s in Omaha. What is going on with the company lately that you are most excited about? We just signed a deal with Compass Group to put Clean Juice on a minimum of five college campuses. We are thrilled about this as the next generation thoroughly understands what we do and why we do it, so we know these are going to be great partnerships. Giving students access to organic fruit and vegetables with their dining dollars is a dream come true! 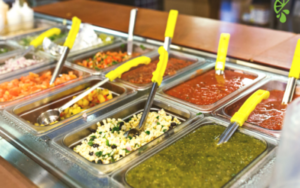 What is the future for Salsarita’s? Going forward, we continue our franchising efforts. We are a heavy franchise company. Fifteen percent of the restaurants are company operated. We have 84 restaurants right now and 16 non-traditional locations. We have a few airports and a lot of campuses. The rest are street locations, and we have 12 company restaurants. In terms of growth, I’m adding about two company restaurants a year, and everything I add on the company side will be drive-thrus. Next year, with company and franchise, we’ll add five drive-thrus. Our newer franchisees who have experience are all wanting to do drive-thrus. Our current franchisees are looking at it, but they are still very used to what they have. Our newer people who already have drive-thru experience really like the fact that we have a drive-thru. I’m so excited about what we’ve done with the reimaging. We have done a lot of work with improving our products and production, so we are ready to go to market with franchising. 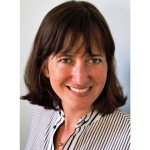 I used your firm to find a great person to oversee franchise development, Sharon Glaser. We are getting a great response to what we are doing. The reason I wanted to hire a full-time franchise person is we really need to start being aggressive with the follow up from conferences and aggressive with contacting people. It’s a whole new Salsarita’s. Internally and externally, I call it the new Salsarita’s. I’ve been in the restaurant business for a long time, and what makes me tick is success. What I mean by success is that you have a great organization and you develop great people and attempt to run lean and mean. Success is also having a concept people really like. Guest satisfaction is huge. Personal development is huge. I always want to develop, and I want people around me who want to develop. A long time ago I did a strategy session to come up with goals and objectives, and I use the word success as a goal, but another goal is to be really caring in everything you do. If you care about your guests, employees, suppliers, and you care about the industry, and you care in everything that you do every day, you are going to be successful. My goal was to make Salsarita’s not what it was but what it could be, and honestly, that took me longer than I wanted. I had a lot of work to do in the organization and the concept, but we are there.